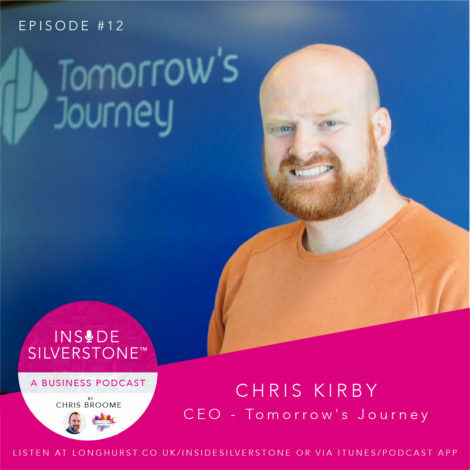 In episode #12 your host, Chris Broome, interviews Chris Kirby, CEO of Tomorrow’s Journey. Listen as Chris explains his vision of a neutral network for new mobility; how they’ve identified a gap in the B2B market; and how they’ve successfully navigated their first round of funding. Chris also talks through his career journey to date; lessons learned along the way; and how the basics of opening a door once eluded him.